Summary: It’s easy to create bracelets for special themes when you follow our easy jewelry making ideas. Here is a 10-minute project is about a simple memory wire bracelet for Halloween! Beside those spooky costumes and scary accessories, a plain black and orange bracelet gets a touch of Halloween in that day as well. As long as you’ve made that featured bracelet, the hearts will be entirely attracted by its glamor. Now, let’s just start to create the easy-making memory wire bracelet in no time. How to make the Halloween memory wire bracelet? Step4: Slide one extra orange bead onto pin and make a dangle with pliers. Finally, attach the two decorative elements. 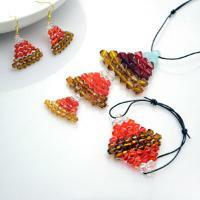 What an easy jewelry making idea, isn’t it? The variations of memory wire and beads are always endless and boundless no matter what type and style you want. 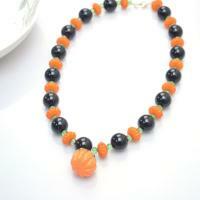 For a Halloween themed memory wire bracelet, orange and black beads are ok. So, how about other holidays? Just be creative then!